Why investing in Koh Samui Real Estate is a good financial opportunity? Thailand's economy faced a rapid growth in the last two decades, mainly supported by private consumption and exports. According to Thailand's Ministry of Finance, in the first quarter of 2017 the economy grew by 1.3%, stronger than market estimates of a 1.2 percent growth. 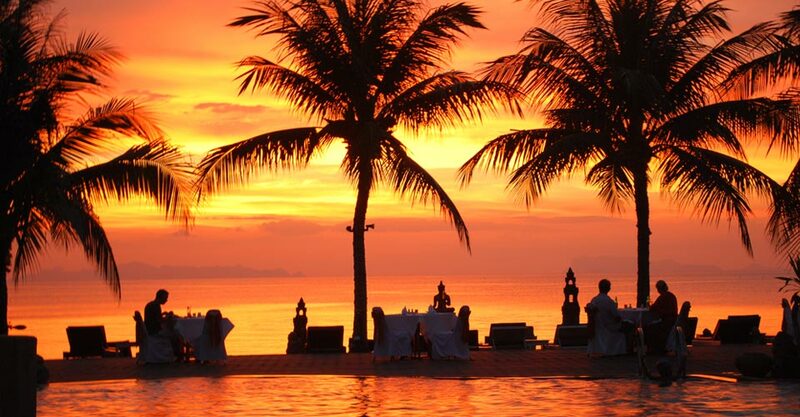 Koh Samui is one of the most sought after destinations in Thailand. This beautiful island attracts tourists from all around the world due to its very modern and affordable accommodation units and the wide range of sports, entertainment, and cultural possibilities. All these incredible advantages have turned it into one of the best places in Thailand where you can make a wise and profitable property investment. 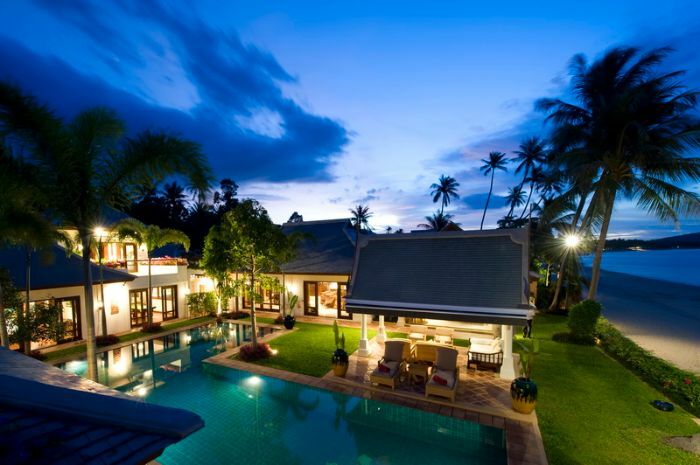 So if you are thinking about buying a property in Thailand then Koh Samui is surely the best choice for you. At the moment, Koh Samui real estate market is on an ascending trend due to the increasing number of tourists that opt to come here on their holiday and to the numerous business ventures that are completely modernizing the face of the island. Samui is quickly turning into a very chic destination for those who are looking for the perfect mix between unspoiled nature and extravagant accommodation. Below we mention a few of the reasons that prove that investing in a Koh Samui property is a great opportunity. Koh Samui is located approximately 750 km south of Bangkok in the Gulf of Thailand, having a year-round moderate weather, while in other parts of Thailand there is a pronounced wet season. One of its main advantages is that Koh Samui is geographically protected from tsunami threats, having a nested position in the Chumphon Archipelago, being just an hour flight from Bangkok. Koh Samui is inhabited by about 40.000 people of which approximately 85% have a Buddhist religion. Although most of the island's inhabitants are locals, over the last few years the business scene in Samui expanded rapidly, Koh Samui being close to overtaking Phuket as Thailand's second largest business center after Bangkok, fact that may determine a steady constant rise in real estate prices. The island attracts more expats each year, many foreigners deciding to buy property and investing in Koh Samui as a luxury living retreat. Due to its position in the center of South-East Asia, Koh Samui has attracted a lot of international investors both from Asia & Europe or the United States. Koh Samui has its own international airport managed by Bangkok Airways, but also the internal road infrastructure is good so the transportation by car or by bus is also accessible. Koh Samui is one of the trendiest exotic holiday destinations on the planet - Sceneries like you've never seen before ! What better way to choose a place where to invest in properties than one of the most popular islands in the world. And Koh Samui is still gaining momentum. Specialists are estimating that the island will keep developing even more and evolving into a very chic and extravagant beach getaway. Of course, this will reflect in a growth in the price of its properties and accommodation offers. This is why now it is the right time for buying Koh Samui property. Because of the amazing scenery, quality services and the high demand for premium services the real estate market in Koh Samui has a short vacancy cycle. The rental prices for apartments are decent, between 900THB ($25) - 2000 THB ($60) / night, so it's a great opportunity to earn a passive income if you plan investing in Samui real estate for the acquisition of a villa or a nice apartment. Rental prices for luxury villas may range between 2500 THB($80) and 25000 THB ($720) and if you plan investing a larger budget you can own one for a fraction of the cost you would pay for this kind of property in the United States or Europe. A nice house with a beachfront view starts at 2,5 mil THB ($70k) and could reach up to 75 mil THB ($2,5 mil) for a luxury villa that includes a private pool, a private gym, a private library, a dedicated conference room, a big surrounding domain with spacious gardens altogether with the most breathtaking scenery that can be found on the island. The charm of its tropical décor and exotic ambiance are invaluable. If for you is important to acquire a property that is able to fascinate with the best nature has to offer then you will find Koh Samui truly priceless. This simple, yet bohemian paradise allows you to enjoy the finer things in life and escape from the turbulent city decor. Buying a Koh Samui property for sale will offer the satisfaction of knowing that you actually own piece of heaven where you can live every day at a slower pace, savoring the small pleasures of life to their fullest. Buying a Koh Samui property for sale will offer the satisfaction of knowing that you actually own piece of heaven where you can live every day at a slower pace, savoring the small pleasures of life to their fullest. It is a place that encapsulates endless breathtaking beauties. One of the main reasons why the Koh Samui property market is high these days is the fact that an island is a place where you whiteness the most amazing natural, cultural and man-made beauties. From the Ang Thong Marine Park, Na Muang Waterfall and Hin Ta & Hin Yai to the Big Buddha Temple, Wat Khunarum and Tiger Shows. All these are really amazing attractions that are irresistible to all those who arrive on the island. Lively and fascinating Thai culture - The cuisine is fantastic also ! If you love discovering new and fascinating cultures then you will love Thailand. In particular, Koh Samui is a very remote place in Thailand that still preserves a lot of the authentic charm and originality of Thai culture. Buying a property on Koh Samui is the best way of being a part of this beautiful way of living where each moment is unique due to the colorful and lively way the locals choose to express themselves and share their hospitality with others. The restaurants in Ko Samui are not small by number and you can find a wide area of cuisine culture choices from French and Italian to genuine Thai or Asian. Some of the best fine dining restaurants on the island are Chez Fancois, located in Bophut, Tree Tops in Chaweng, or Zazen restaurant, in Surat Thani. 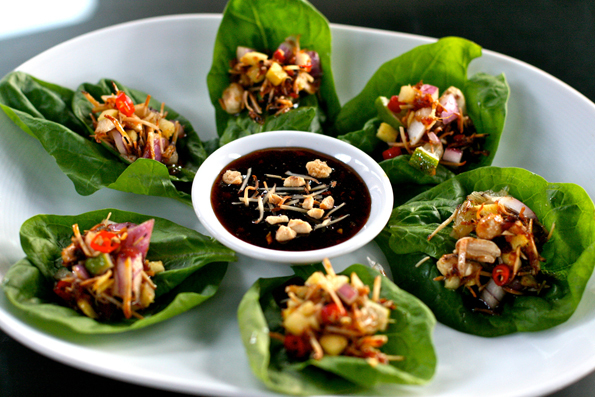 The Thai cuisine puts a lot of emphasis on combining different strong base aromas with spicy ingredients, being known for its complex combination of at least four to five taste senses in each dish. Extravagant villas, hotels and apartments. By the year, the villas, hotels, and apartments that are built on Koh Samui are more and more luxurious, modern and sophisticated. Life here is a statement of style that is beautifully mixed with the ingenuity of its natural décor. On the island, there are some of the most impressive dining places, world-class spas, and resorts. Plus, Samui is one of the most diverse and generous centers for entertainment activities, like water sports, boat tours, fishing and elephant trekking. The properties built on Koh Samui are extremely modern and elegant. 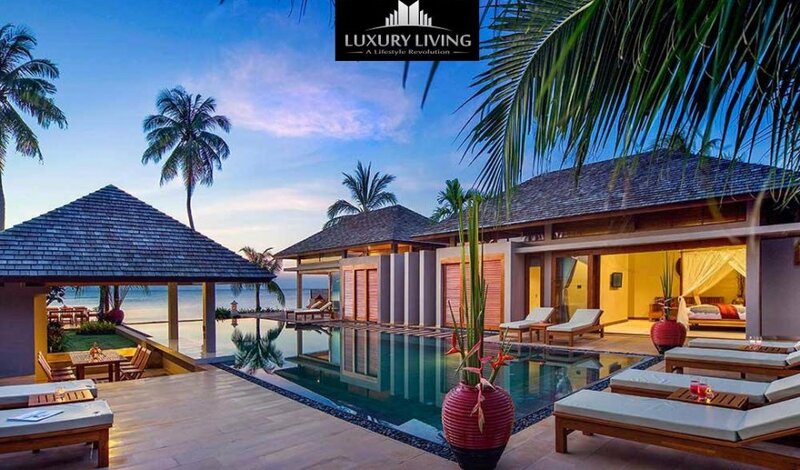 No matter if you are interested in a Koh Samui property for sale or a Koh Samui property to rent, the island will impress you with some of the most luxurious and beautiful constructions in the world. The setting, the architecture, the furnishing, and amenities are a statement of style and extravagance. And the best part about renting a luxury villa in Koh Samui is that these are usually fully furnished and equipped with the most modern appliances and technologies. You can move in right away and start living your very own exotic beach escape. In Thailand the real estate and the HORECA market is growing from year to year, being more and more competitive, so the number of skilled construction companies with a lot of building experience in developing premier residential and hotel resorts is high. The prospects of finding a good investment opportunity is high because of the market dynamicity and the supply/demand ratio that never stays the same. The prices for Koh Samui properties are very affordable. If until now you have been renting on long term luxury villas, beach bungalows, apartments or studios on Koh Samui then you should really consider buying a property on the island. At the moment, the prices for properties for sale on Koh Samui are still very affordable and you could easily get your own place and enjoy the intimacy and freedom you have only in your own house, every time you visit the island. Judging, by the way, the number of tourists grows from year to year, the accommodation units developing rate and its amazing tourist attractions; it is safe to say that prices are sure to rise quickly. A wise investor would buy a good property before the prices go up. You can always count on the fact that a fabulous villa awaits your visit. Very often, most of the best villas and apartments are booked. There is no guarantee that every time you start planning a vacation on Koh Samui, you will find available the place where you want to stay. There are many periods of the year when the most beautiful and modern accommodations are booked. If this happens then your only choice is to settle with a villa or apartment that doesn’t meet your standards. This is why, when you buy a property for sale on Koh Samui, you can always count on the fact that the perfect place awaits you. If you are married and your goal is to move on Koh Samui with your spouse and children then you will be delighted to find out that Koh Samui has some of the best schools in Thailand. As a matter of fact, the number of families that opt for starting a new life on the island has reached an impressive number. This is because Samui is the perfect place for enjoying a serene and happy life where the most charming and idyllic pleasures blend with the most modern and entertaining happenings. There is a wide area of choices even for international pupils to sign-up for English-speaking schools like the PanyaDee or the International School of Samui, which caters for children from 2 to 16 years of age. The Oonrak school was recently awarded an approval of ASEAN education, a certification with high trust degree for quality. Koh Samui is the right island for all ages. Regardless if you are a young and adventurous man, the family type, a business man or preparing to retire, Koh Samui has everything you need to lead the life you have always dreamt of. Different parts of the island offer different opportunities. Chaweng is where all the parties, fun and energy are encapsulated. Bang Rak, Plai Laem and Maenam are where the peaceful surroundings mix with beauty and bohemian ambiance. And Lipa Noi and Bang Po are the parts of Samui where you can escape from the rumor and rush of modern life. Of course, retired people will prefer the less developed parts of the island where there are fewer tourists and lower prices. Koh Samui has one of the most important airports in Thailand. This fabulous Thai island has modernized his airport a couple of years ago and it currently has one of the largest and most impressive international airports in Thailand. The consequence of this is the fact that it eases the access of tourists from all across the world to this chic beach paradise. The island has an 11 months tourist season. On Koh Samui the sun shines 11 months a year. Typically, the rainy season lasts only for about one month so tourists can enjoy its wonderful beauties 11 months each year. Furthermore, Samui has one of the lowest risks of natural disasters in Thailand. The value of properties increases with 15%-20% per year. Statistics show that in recent years the value of properties on Koh Samui has increased with 15%-20% per year. This proves the fact that an investment on this island is a huge opportunity that should be maximized to its fullest without any delays. One of the most popular locations in Koh Samui is Bo Phut, being located in the more developed part of the island. When planning to buy real estate in Samui, no matter if you are searching for a small apartment or a somptous villa, be sure to put emphasis on the outside view. A lot of great scenery is available at every step on Koh Samui island and a stunning view could mean a higher re-selling price.